The National Association of City Transportation Officials is a 501(c)(3) nonprofit association that represents large cities on transportation issues of local, regional, and national significance. The organization facilitates the exchange of transportation ideas, insights, and best practices among large cities, while fostering a cooperative approach to key issues facing cities and metropolitan areas. As a coalition of city transportation departments, NACTO is committed to raising the state of practice for street design and transportation by building a common vision, sharing data, peer-to-peer exchange in workshops and conferences, and regular communication among member cities. Technical review conducted by American Society of Civil Engineers’ Environmental & Water Resources Institute: ASCE’s technical source for environmental and water-related issues. 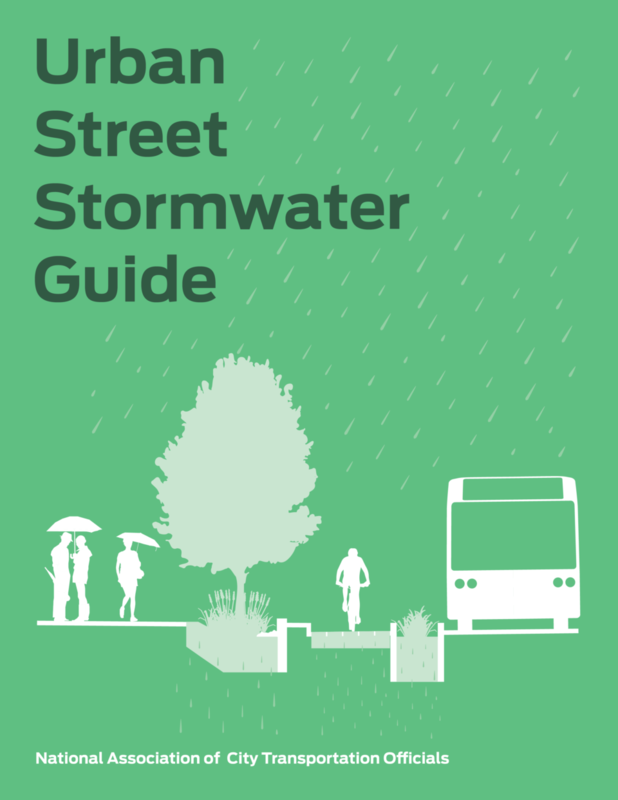 The Urban Street Stormwater Guide would not have been possible without the support of the Summit Foundation and Seattle Public Utilities. Many thanks especially to Darryl Young of the Summit Foundation and Shanti Colwell of Seattle Public Utilities. The project team owes tremendous thanks to all of the members of the steering committee, as well as contributors and representatives of partner organizations, who generously gave their time, expertise, and energy to the development of this guide. Thanks especially to Scott Struck and Brian Parsons of ASCE’s EWRI for their partnership and expertise. Special thanks to Heather Boyer and the staff at Island Press for bringing this publication into print.